Here at The National Center for Outdoor & Adventure Education (NCOAE) we’re not very big on endorsing products or brands. In fact, if you were to research our blog all the way back to the first entry at the end of 2013, you probably won’t find more than two or three posts chatting up products that we heartily support (most notably among them, our June 2014 endorsement of Banks Fry-Bake Pan). But NCOAE is a super big fan — and customer — of Osprey Packs, a company that has been making some of the best expedition-style backpacks available in the outdoor recreation marketplace for the past four and a half decades. In particular, we’ve been hugely pleased with the Escalante 75 +10 backpack and the Kiva 70 +5 backpack — both available for our outdoor programs only. 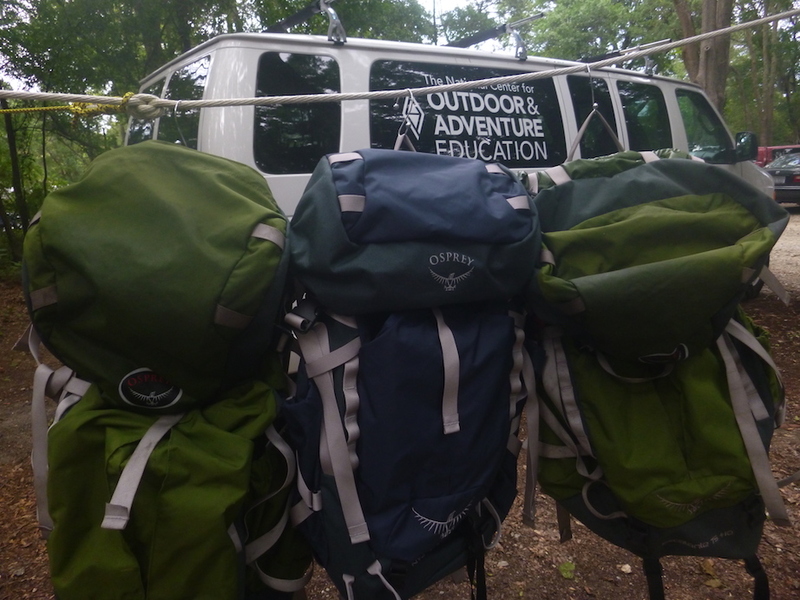 As an Association for Experiential Education (AEE) accredited provider of guided outdoor trips and training in the realm of outdoor education and training, our organization qualifies for wholesale pricing for 100 or so manufacturers of expedition-style backpacks. But over the years, when it comes to program packs, we continue to work almost exclusively with Osprey. Why? Durability and versatility are certainly in the equation, as well as the fact that Osprey’s packs are comfortable for a diverse range of both female and male students. We like, for example, that the torso size on many of the Osprey packs we use are adjustable for different size torsos. But where Osprey really had us was with its no-nonsense “All Mighty Guarantee.” Here’s what the company promises: Free of charge, Osprey will repair any damage or defect in its product — whether it was purchased in 1974 or yesterday. If Osprey is unable to repair the item, it will happily replace it. Any product, any reason, any era. And then the company went ahead and boosted that ironclad guarantee with a great slogan: “Wherever you find adventure, we’ve got your back.” Damn, they’re good! NCOAE had been using Osprey’s products for years, but we didn’t put the faces to the names until the Outdoor Retailer Show in January of 2016. That’s when Zac Adair, our co-founder and executive director, had a sit-down with Blair Volpe, Osprey’s direct sales manager. 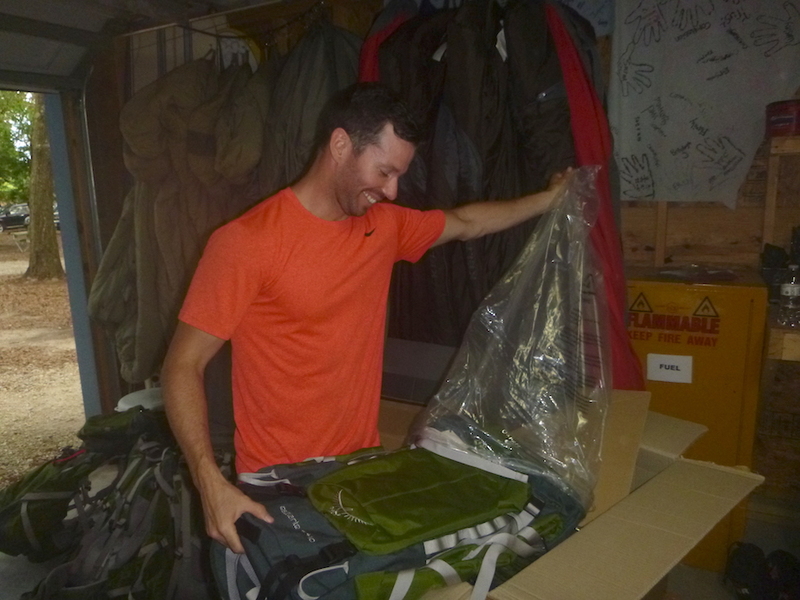 NCOAE Logistics Coordinator Adam Parish unpacks and inventories our latest shipment of program packs from Osprey. It was at that meeting where we had the opportunity to sit across the table from Osprey personnel and tell them about NCOAE and what we thought of their backpacks and their approach to business. The Osprey reps, in turn, told us about the humble beginnings of their company, back when a 16-year-old kid’s mother taught him how to sew and he created his first backpack. In 1974, Mike Pfotenhauer (the “P” is silent) opened a small retail shop in Santa Cruz, Calif., where hikers, campers and wilderness enthusiasts swore by his handcrafted, custom-fitted backpacks — each constructed by Mike over a two- or three-day period and each fitting like a glove. Thirteen years later, with a successful wholesale operation in hand, Mike’s business was suffering with growing pains — partly because the younger Santa Cruz employees would be no-shows when the surf was up — and Mike and his wife, Diane Wren (Osprey’s co-founder), moved the company to Dolores, Colorado, (a Statutory Town in Montezuma County). There the couple rented an 8,000-square-foot building that fortuitously had previously (as in just days before) been a sewing factory for GORE-TEX®, and which was originally erected in the 1920’s to serve as a factory producing Model-T Fords. Once settled, Mike and Diane hired a handful of seamstresses from the nearby Navajo reservation, and after some training by Mike, the team began to make Osprey Packs. 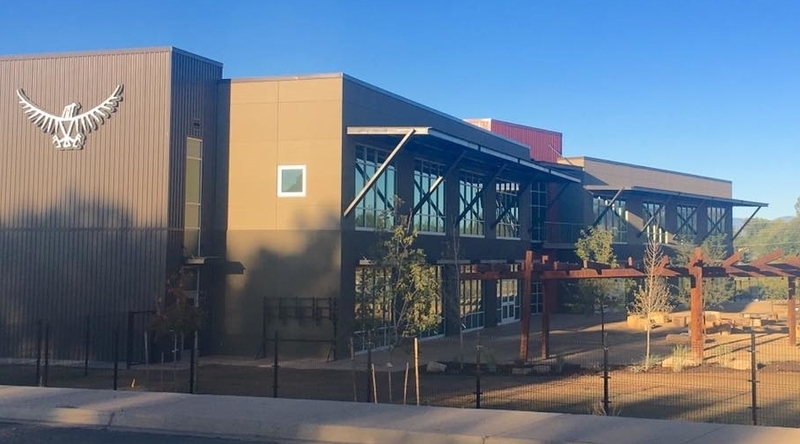 In 1994 Osprey expanded its sewing operations with a facility located 10 miles to the south in Cortez, Colo., and five years after that moved the entire company to the same location, which to this day continues to serve as the company’s world headquarters. Osprey Packs’ World Headquarters in Cortez, Colorado. With U.S. manufacturing hurting by the turn of the century, Mike and Diane relocated their family to Ho Chi Minh City in Vietnam, where Mike continued to oversee the design and creation of his backpacks from that country. But after four years, he tired of making the two-day commute between Vietnam and Colorado. So, after hiring a Vietnamese designer to create prototypes and samples of Osprey’s award-winning packs, as well as another trusted local to manage quality assurance, Mike, Diane and their kids returned to the states. Today, the Vietnam operation is fully staffed, and in Colorado, Marilyn Jones — one of the original Navajo sewing employees hired back in 1990 — is in charge of repairing backpacks that are returned as damaged. Sometimes, she says, she’ll recognize a 20-year-old backpack with a damaged clasp or a frayed strap, and she’ll make it as good as new. Exactly as the “All Mighty Guarantee” promises. For information on Osprey’s Pro Sales Program, visit the company’s Prodeals Sales page where you can register for a Pro account and learn more about this expectational manufacturer of program backpacks and more.